Are you looking to get into the voice over business? 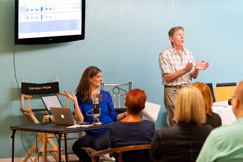 Our voice over seminar will give you everything you know to get started. You'll learn how to build your home recording studio, record and edit voiceovers, how to get auditions, and become a better voice over performer! The seminar is hosted by Dan Wachs, working voice actor who books between 150- 200 VO jobs a year and Lauren O'Quinn, owner of Class Act Studios Orlando. Lauren is an acclaimed actor and acting teacher and also has deep voice over experience. The seminar is best for people with entertainment experience like actors, singers, theme park performers, and anyone with public speaking experience. If voice over is calling your name, you won't find a better place to start your journey. More info here. 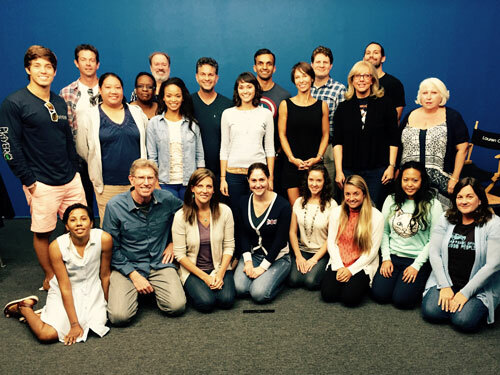 More on our voice over seminar philosophy here. Expert, private voice over coaching with Dan Wachs is offered by Skype and in person at Dan's home studio. Dan has recorded VO projects for clients all over the world, including Anhueser Busch, Disney-Pixar, New York Life, Hyundai, Notre Dame University, and hundreds more. Your private coaching experience will be based on your specific needs. And prior to your first session, Dan will evaluate your work and discuss your goals at no charge. So when the first session starts, you and Dan are on the same page and you hit the ground running. Private voice over coaching can be a valuable endeavor for voice over talent of all levels, from the beginner learning the ropes for the first time, to the seasoned pro looking for an intensive workout and tune up. Private coaching is offered to students 16+, and a parent or guardian is present for minors. 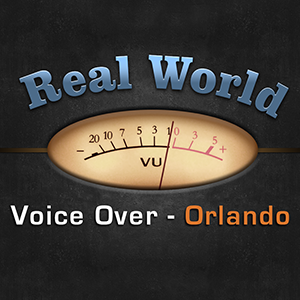 All working voice actors have voice over demos. Not one demo, multiple demos. 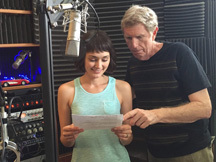 With us, you'll receive up to FOUR voice over demos for the price of one. This is a unique approach which no one else would think of doing. And you will beneifit from extensive preparation, all guided by Dan. Our process includes a separate, pre-recording Skype session to discuss script selection (we have tons of script resources), a pre-recording script review, and finally - the recording session in Dan's private recording studio. And after that, Dan handles all the production including music beds, sound effects, and even other voices that may be used as an accent to compliment your voice. All this adds to the professional sound, and this will stand out in the ears of your clients. We love to talk about voice over! And we'd be happy to hear you and give you a mini-evaluation of where you stand today. Just send in a sample of your work. Doesn't need to be a professional production. Just transcribe a commercial you like and read it on your smart phone - then send us a copy. Contact us here. Also, for Real World Voice Over Seminar graduates only, Dan Wachs offers by invite only Voice Over Business seminar. It's a deep dive into the business side of VO.